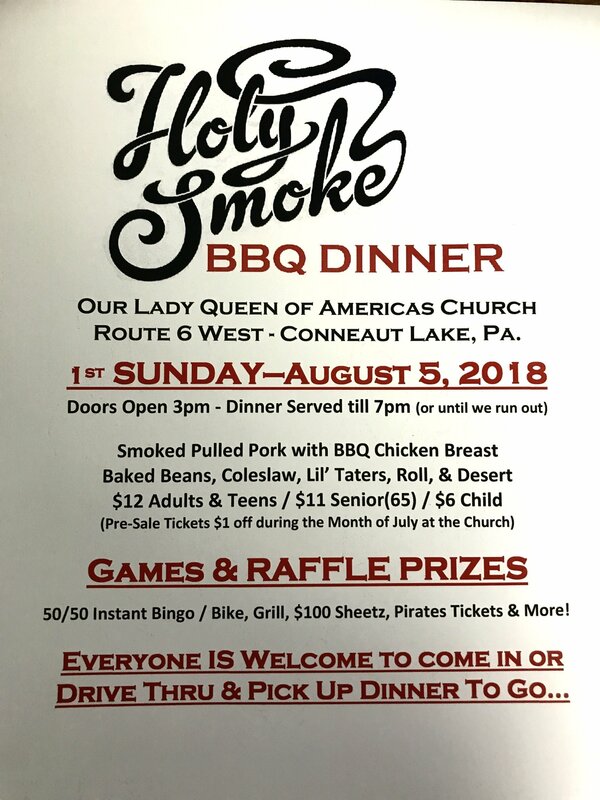 Please plan on attending our annual Holy Smoke BBQ dinner on August 5th from 3-7pm at OLQA church, even if you just want to stop by, we are offering drive thru and pick up dinners for those itching to get back to the lake as well as eat-in dinners. The dinner will include smoked pulled pork and BBQ chicken breast along with baked beans, coleslaw, lil' taters, roll and dessert. 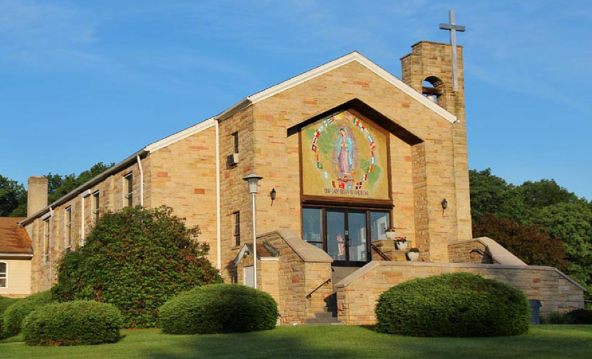 The cost is $12 for adults and teens, $11 Seniors (65 and over), and $6 per child. Pre-sale tickets will be offered for $1 off during the month of July. In addition to dinner, there will be games of 50/50 and Instant Bingo. Also, we are holding raffles with the purchase of tickets please see below for a picture of what you could take home! If you are interested in helping out with the dinner which provides a great service opportunity, contact Dan Corner at 547-1450.